It's exceedingly rare that I would use the word "delightful" to describe anything. 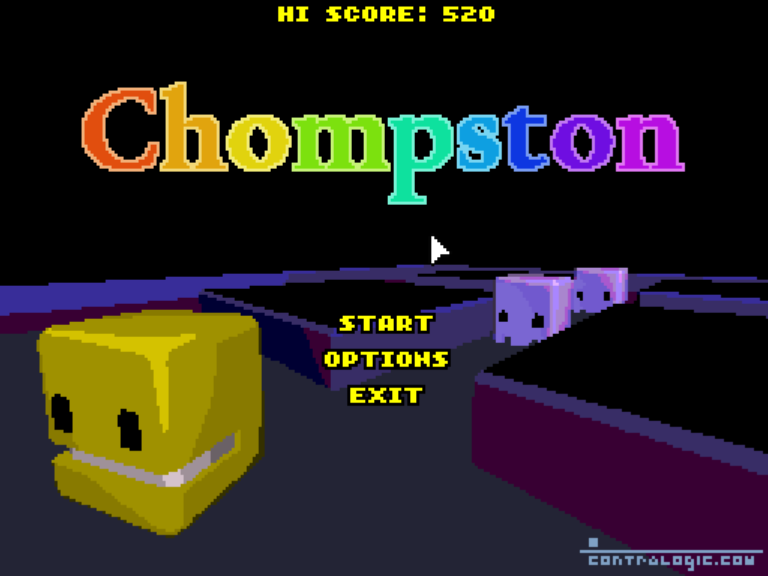 Yet, I can't find a better word to describe Chompston, a bite-size gem created by contralogic. Chompston is essentially what would pop out if Pac-Man and Bomberman were to somehow fuse their DNA in a Forget-Me-Not themed laboratory. Gameplay is absolutely straightforward to anyone who has ever played the classic arcade gobble-em-up, and there's only one other key to know besides the movement key... the bomb key. The player's cheery little yellow cube thing with the silly grin will happily place little bombs that will, hopefully, destroy the oncoming enemies before they can sap a health heart. Snap up all the multicolored dots and the stage is won. I've always had a patchy relationship with immigration and customs officers. I'm the genius who, on having triggered the metal detector three times at an airport in Norway, decided to reach inside his jacket looking for all the world like he was going to whip out a shooter (or a travel wallet with a big metal zip, now thankfully lost). I'm the smart guy who had a passport photo taken with shoulder length hair then got a load of it cut off just before a barely successful attempt to enter Japan. I'm honestly surprised I've never been strip searched for my general failure at being a competent world traveller. 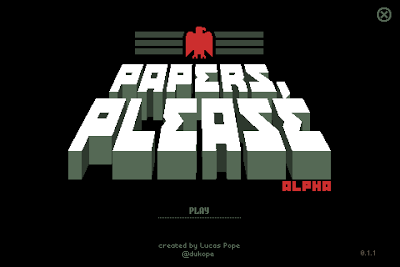 Papers, Please is an indie game still in its rickety alpha stage which sees the player take on the role of an immigration officer in a dystopian Eastern Bloc country in the grim, grey 1980s. With travel restrictions having just been lifted (stop yawning at the back, this game is pretty fun. Don't make me call the Secret Police on you) vigilance is required to make sure only the right people get in. Download the Retail Version of Assembloids in .crt/.prg format HERE! 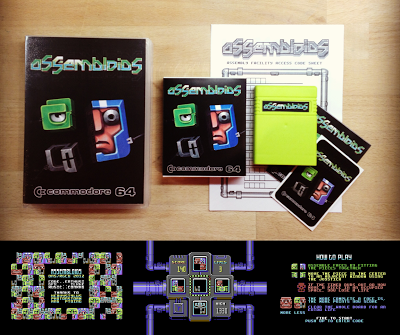 Download the Competition Version of Assembloids in .crt/.prg format HERE! EMULATOR PACKAGE! Download the Retail Version of the game ready-to-run combined with the Windows 32-Bit version of the VICE emulator HERE! During the Autumn of 2012, RGCD collaborator and friend iLKke (Ilija Melentijevic) joined us as an official member of our game development team, and after wrapping up Endurion's Get Em DX was keen to work on another release. At the same time, Enthusi (Dr. Martin Wendt) was toying with the idea of entering a game in our 16KB Cartridge Development Competition, but hadn't yet decided upon a particular design. After discussing a few ideas, a port of Photon Storm's excellent Quartet game was suggested. Playable online via the gimme5games flash portal, its simple design and frantic reflex-based gameplay made it a perfect contender for the limitations of the competition. 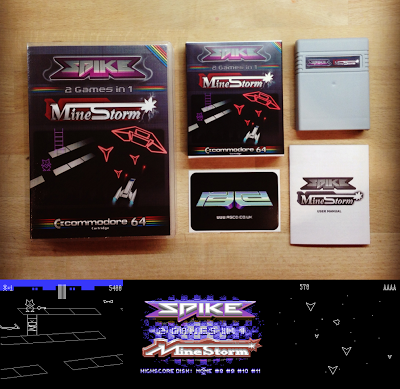 The retail version of the Spike/MineStorm cartridge is currently not available for free download, but if you are interested in trying the games you should check out the original PAL-only releases on CSDB. 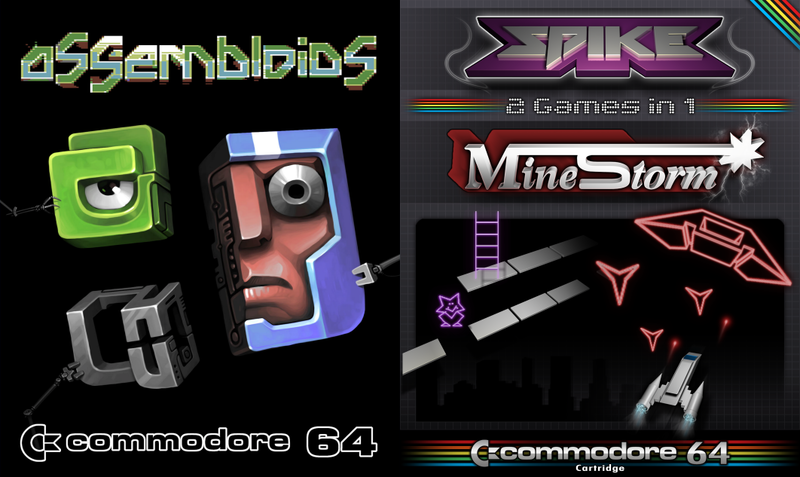 Download Spike (PAL) in .d64 disk format HERE! 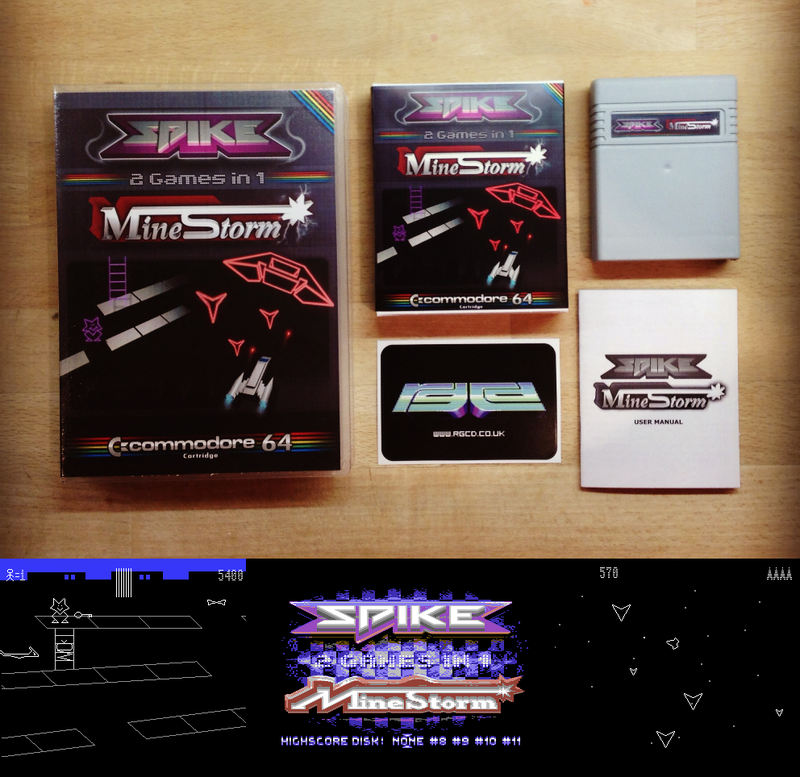 Download MineStorm (PAL) in .d64 disk format HERE! BONUS! Download the Spike soundtrack by Linus HERE! BONUS! Download the MineStorm soundtrack by Linus HERE! Regular readers may recall my from my previous post that I casually explained away some of the inactivity here due to my PC dying last month. Well one of the direct results of this mishap is that I completely failed to announce that the retail versions of C64 hits Soulless, Space Lords and Get 'Em DX are now all available for free download! (This was originally planned for Christmas 2012, so I guess a belated seasons greetings are in order from RGCD, Psytronik Software and p1x3l.net). 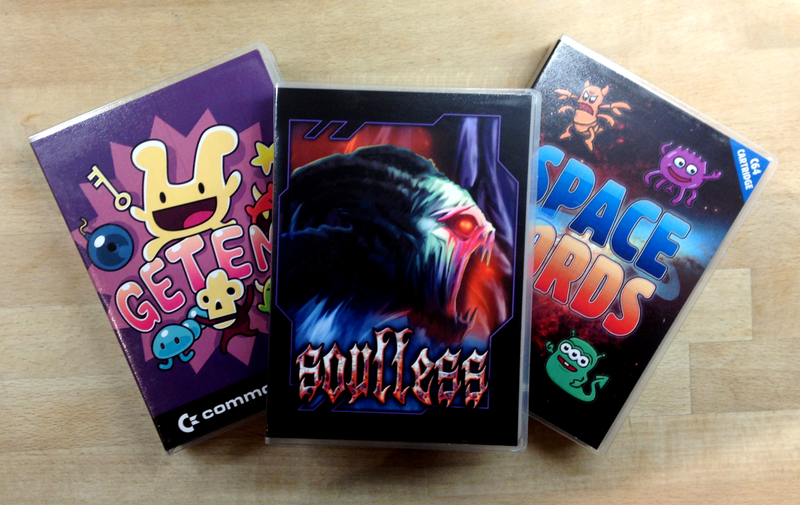 With two new C64 releases about to roll off the assembly line here at RGCD, these should keep you busy for a few days. Stay tuned for more news very soon! Hey there - let me start this post by wishing you all a belated Happy New Year! There's a reason for the recent inactivity here at RGCD towers - my ancient old desktop PC (built in 2005) decided to finally die once and for all after months of random crashes and automatic turn-offs. This meant it was time to upgrade - and a direct result of this has been me wasting away the hours playing loads of new games that my old PC couldn't cope with. 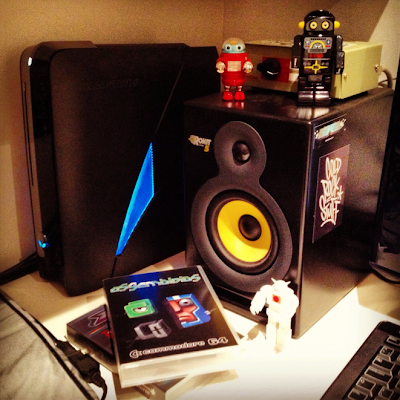 Fortunately, the novelty of having a new computer has now finally worn off and it's back to business as normal. So, what has been cooking on the back burners here at RGCD? First off, and following on from my last post, the C64 competition cartridges have now all been sent out to their new owners across Europe, each housed in a neat little box designed by Redcrab of Goin' Sideways/Genesis Project. I'd like to say thanks again to everyone for making the 2012 competition such a success, especially Tim Harris for providing the hardware that makes this all possible, and Enthusi for his vital technical support.